Through joys and trials of their blended family experience, with no readily available Christian resources for blended families available at the time, they found themselves on their knees often in prayer… together seeking the Lord in times of tremendous praise and joy and yes the deep challenges and dynamics of step-family life. They were looking for help. To their amazement, they found that God began to lead them, guide them, and direct their paths…. His word began living in their lives. The Holy Spirit was at work. God showed them how to love and ‘bond’ to Him, and then through that ‘bond’, love each other and all their children. 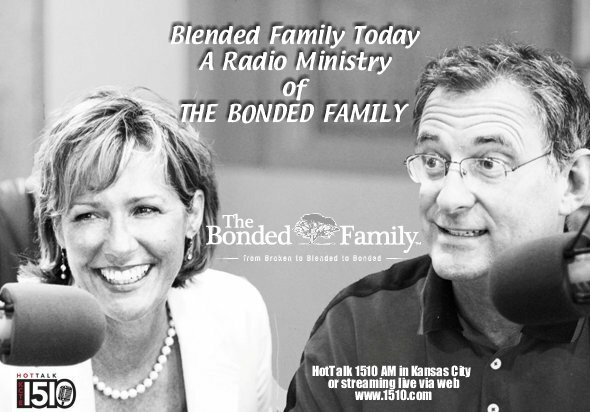 The experience was so incredible to Dan and Rebecca, that they made it their life goal to walk alongside others in their blended family experiences. Through the encouragement of Dr. Dan Erickson, nationally recognized speaker and author of ‘Finding Your Greater Yes’, and people like Dr. Ken Canfield, as well as family therapists, attorneys and even court system mediators, the vision for a faith-based message was born. God then went to work in Dan and Rebecca. They dove deep into the Word of God, seeking references and scripture to address the common challenges and dynamics of life. He led them to ‘take their mess and turn it into His message’. They have seen first hand that God could bind two people to Himself and as a result, bind their marriage together. Through that cord of three strands…they would not fail. Dan and Rebecca acknowledge and rejoice that God has allowed them to learn as much through their mistakes in stepfamily life, as they have from their victories and successes. Their goal is to see healing in families where their has been brokenness…so that the future, will not look like the past…and that the children, by understanding and watching who God was and what He can do in their lives…would be better equipped for their own marriages one day. Dan and Rebecca feel called to share with other families what God has shared with them. They want to change the face of blended families, divorce and brokenness for children, extending their vision to leave a legacy that echoes in eternity for millions of families. A LEGACY that says “Keep your eyes on God…not eyes on self”.